The 2015 Winter Cup Challenge is set for Feb. 19-21 at Las Vegas’ Riviera Hotel & Casino’s Royale Pavilion. 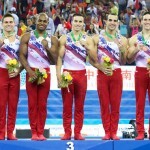 Six of the seven members of the U.S. Men’s Team that won the team bronze medal at the 2014 World Championships in Nanning, China, are expected to compete at next month’s Winter Cup Challenge in Las Vegas. Competition runs Feb. 19-21 and will be held in the Riviera Hotel & Casino’s Royale Pavilion. 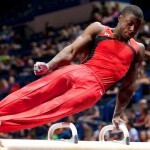 2012 Olympic team alternate Chris Brooks earned a two-day total of 174.850 in the all-around at the 2014 Winter Cup Challenge today inside the Riviera Hotel & Casino’s Royale Pavilion in Las Vegas to win the all-around competition. 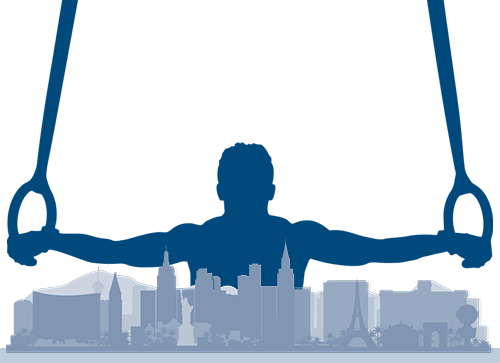 Marvin Kimble of Milwaukee, Wis./Swiss Turners, posted an 86.200 in the all-around at the 2014 Winter Cup Challenge today inside the Riviera Hotel & Casino’s Royale Pavilion in Las Vegas to lead the field after the first of two days of competition. Chris Brooks of Houston/Team Hilton HHonors (Cypress Gymnastics), leads the all-around after the first of two preliminary sessions at the 2014 Winter Cup Challenge, inside the Riviera Hotel & Casino’s Royale Pavilion in Las Vegas. 2013 World floor exercise silver-medalist Jake Dalton will make his 2014 competitive debut this weekend at the Winter Cup Challenge in Las Vegas. 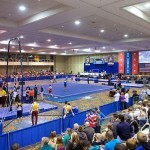 Sam Mikulak of Newport Coast, Calif./University of Michigan, and Paul Ruggeri III of the U.S. Olympic Training Center)/Manlius, N.Y., have withdrawn from the 2014 Winter Cup Challenge in Las Vegas. All six members of the U.S. Men’s Team from the 2013 World Championships, which won four medals in Antwerp, Belgium, are expected to compete at this month’s Winter Cup Challenge in Las Vegas. 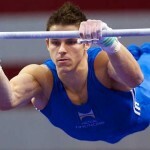 2012 Olympian Jake Dalton of Reno, Nev./University of Oklahoma, posted a two-day, combined all-around total of 173.250 to capture the all-around crown at the 2013 Winter Cup Challenge today inside the Las Vegas (Nev.) Sports Center. 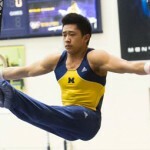 After two preliminary sessions, Adrian de los Angeles of Long Beach, Calif./University of Michigan, leads the all-around competition with a score of 85.800 at the 2013 Winter Cup Challenge, held today at the Las Vegas (Nev.) Sports Center.